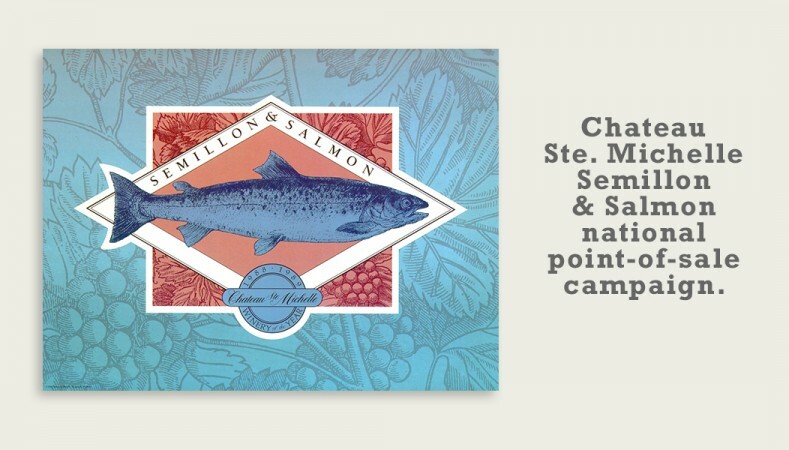 I designed four multi-faceted national point-of-sale campaigns for Stimson Lane, the parent company of Chateau Ste. Michelle and Columbia Crest. Making consumer brands stand out in the hyper-competitive retail environment is my forté. I also designed a full array of collateral support materials including recipe brochures; bottleneck hangers; ceiling danglers; trade brochures; and dealer incentives. 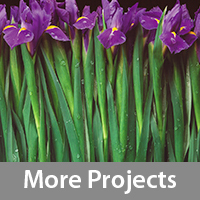 I sourced manufacturing and oversaw production for these complex projects. In this 3-dimensional battery-powered point-of-sale, a pair of salmon leap over the vendor’s head — based on the fish market vendors at Seattle’s Pike Place Market, who are known for throwing fish over the heads of customers. 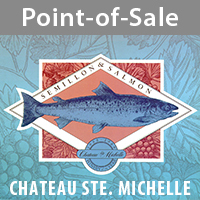 This was the first of point-of-sale campaign I created for Chateuu Ste Michelle. 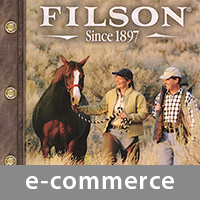 I worked closely with Brand Manager Donna Duncanson, to create powerful point-of-sale materials that successfully drove sales. 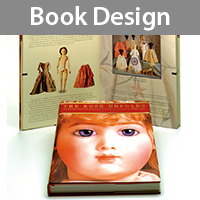 Although CSM had a nationally renowned ad agency, they hired me to provide a higher level of creative concept and execution. 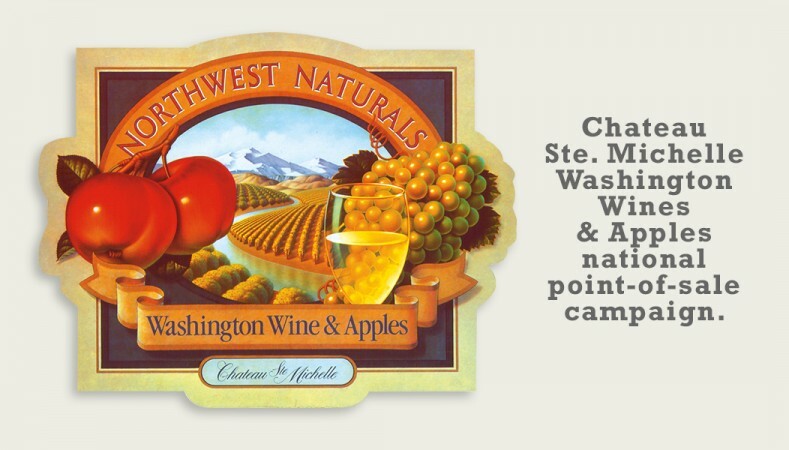 A partnership promotion between the Washington State Apple Commission and Chateau Ste. Michelle. 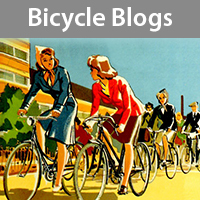 The design was inspired by classic fruit box labels. 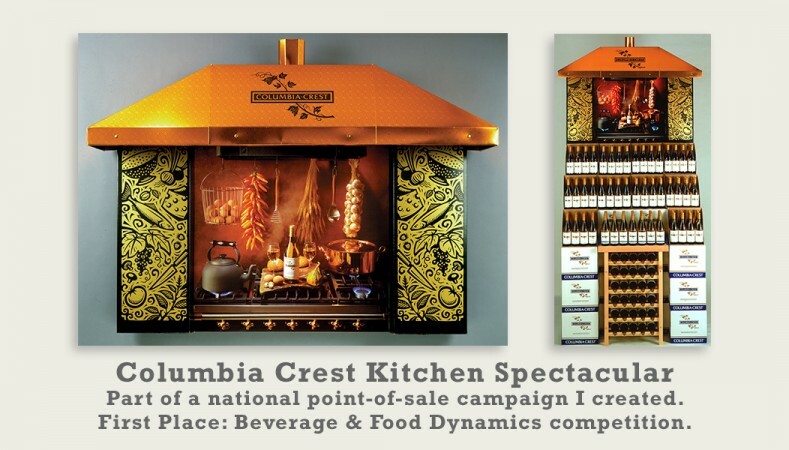 The 3-dimensional 56 case display ‘Kitchen Spectacular’ is the largest (59″ wide) of 3 different size displays that I designed and produced. 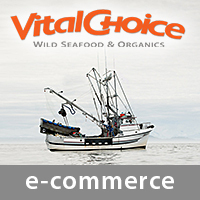 They were distributed to retailers across the US. They are designed to ship flat, but be easy to assemble. They also need to be sturdy enough to hold up in retail environments — a feat of paper engineering. Working with master photographer Doug Ogle, I borrowed a gorgeous French range from a high-end dealer, and converted it to propane for the day so we could fire it up on the set. 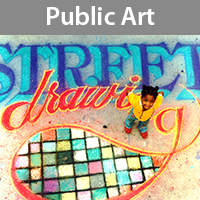 I art directed and styled the central photo as well as the wood-cut illustration by Margaret Chodos-Irvine. The range hood was printed on foil-covered board. 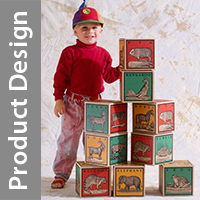 I design and coordinate manufacturing of complex projects for companies demanding high visibility in-store presence. 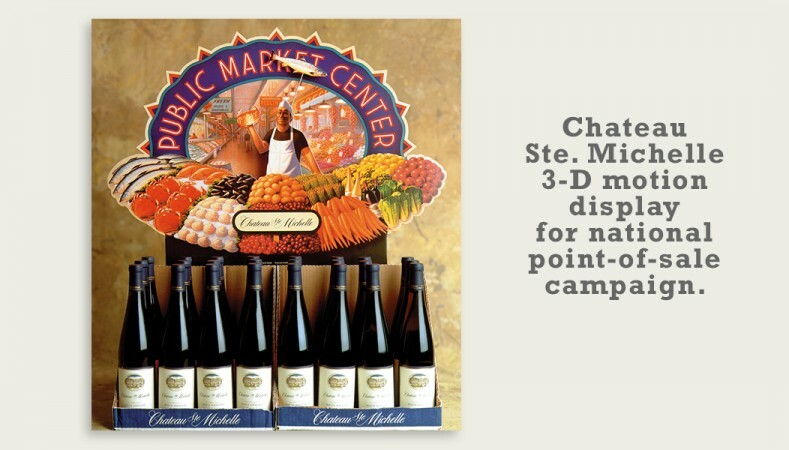 This project won First Place in a national competition held by Beverage & Food Dynamics, an industry trade publication.